Diebold-Yilmaz Connectedness Index (DYCI) methodology is applied to daily stock market index return volatilities from 45 countries over the period from January 1, 2004 through the latest observation. The results are based on generalized variance decompositions (with 10-day forecast horizon) obtained from a VAR(3) model of daily range volatilities. The VAR model is estimated using the elastic net shrinking and selection procedure, which combines Lasso and Ridge estimators. Dynamic connectedness measures are obtained from the estimation of the VAR model over 150-day rolling windows. "Index" is the total connectedness index. "To," "From" and "Net" are the "to," "from," and "net" directional connectedness measures calculated for each variable in the analysis. 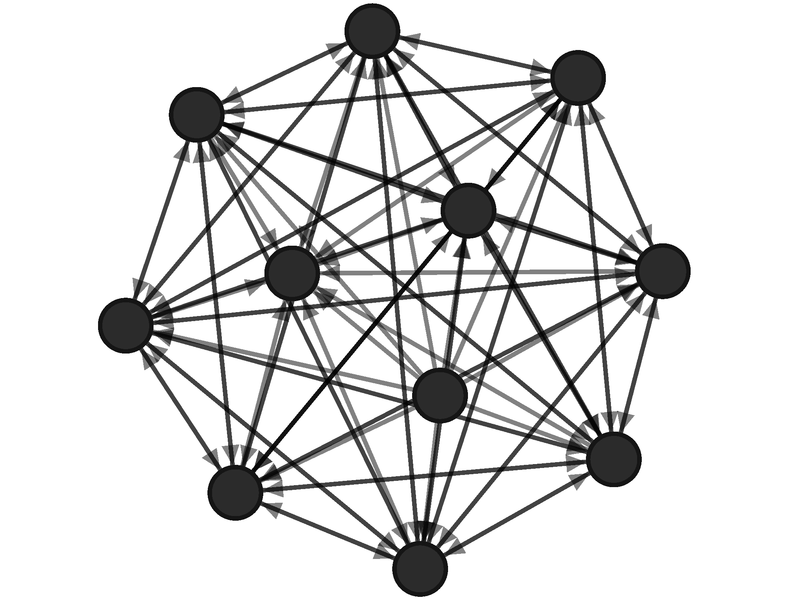 Network graphs are created with Gephi (https://gephi.github.io/) open-source software for visualizing large scale network graphs. Node locations are determined using the ForceAtlas2 algorithm of Jacomy et al. (2014) as implemented in Gephi. Edge thickness indicates the average edge weight, which happens to be the pairwise directional connectedness. In order to obtain a clear graphical image, we dropped the lower half of all edges after ordering them by their weights. Edge color does not vary with edge weight.